1. Get to Know Your Teachers: This is the thing that has helped me so much in high school and even middle school. If you get to know your teachers when you have a problem or need help it will be so much easier to get it. You see them every day, so you might as well get close with them. They are invaluable for college recommendations and scholarship applications, the better you know them the better they will be able to write about you. And if you end up needing a point boost at the end of the year, a teacher that saw you made an effort will be more likely to help you get that A! 2. Find a Good Backpack: If you buy a good quality neutral backpack it will last you all the way through high school and even into college! My favorite is the North Face backpack. I promise a good backpack will save your back when you have to carry around heavy textbooks. Just say no to the tote bags, no matter how cute they are; they aren't practical! 3. Get Organized: Spend a little extra time in the beginning of the school year creating an organization system. Having an effective system will help you to have a productive year. I love using dividers in binders, and if you don't have a 3 hole punch buy one now(my school supply picks here!) I also recommend getting a planner, check out this post for my picks. 4. Buy Some New Clothes: I'm not saying to go crazy and buy a ton of stuff, but a buy a couple new pieces. It will help you feel fresh and excited for the new year. I always like to get a new pair of jeans and a couple of tops! 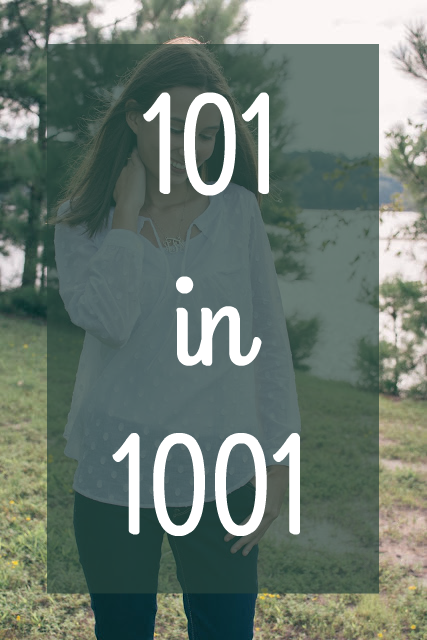 Check out my back to school clothing guide here! 5. Meet New People: No matter if they are people you've been in school with for years and never spoken to or a completely new student, meet and get to know people. You never know who will become one of your friends. I like to start every year with an open heart, embrace change. 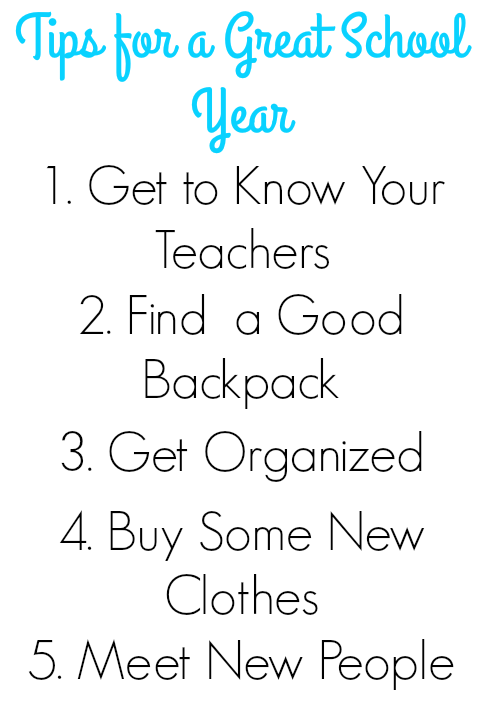 I hope these tips will help you to have a great school year! 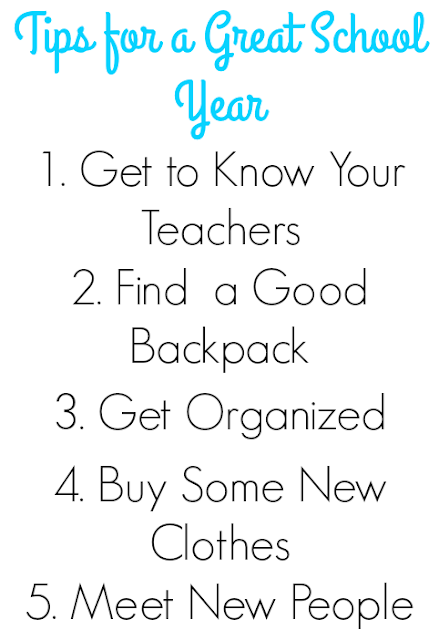 Spend some time in the beginning of the school year building relationships and getting organized because it will lay a groundwork for the rest of the year! I have lots more back to school posts coming. Let me know if there is one you would like to see in the comments below! If you're an incoming high school freshman check out these tips.